Pour milk and pudding mix into medium (2 quart) bowl. Let pudding stand for 5 minutes until thick. On clean cutting board, cut bananas once lengthwise and then in crosswise slices. Crumble graham crackers into small pieces. Put 1/4 of graham cracker crumbles in each of 4 small bowls. 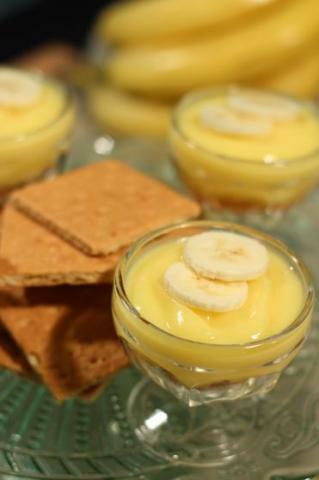 Top each with banana pudding and serve.